ICYMI: Microsoft has officially and globally released the latest version of its ultra-popular operating system, Windows 10. Windows 10 is the latest evolution of Bill Gates and co.'s computing platform. Its release is a highly anticipated milestone event, especially since we've all waited almost three years for it. It aims to bring a solid, more convenient and efficient computing experience with speed both on mobile devices and desktops, making up for the boo-boos of its predecessors, from the frustrating mess that is Windows Vista to the unique-but-confusing Windows 8. So, are you now on the bandwagon? Not yet? If you're planning to upgrade (or convert, for Mac loyalists), read on for a list of really important things you should know about Windows 10 before hitting the download key. And by legit, we mean those who are running non-pirated copies of Windows. So yeah, going genuine really pays off here. To clarify, though, we're talking about having Windows 7 or Windows 8.1—if you have any of the two, make sure to update it to the latest version (click here to know what specific version you’re running). Microsoft has an updater app that informs you about downloading Windows 10. A Windows icon will appear on the lower-right portion of your device's display which means your system is ready to get #blessed with the latest Windows offering. 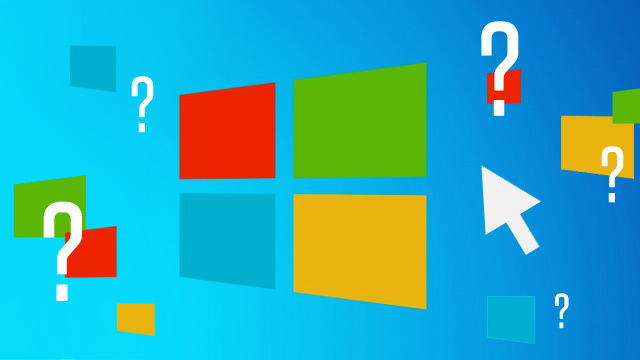 If you don't and/or can't have the latest versions of Windows 7 or Windows 8.1, don't fret! You can still get a genuine copy of Windows 10, although you'll be shelling out a nice amount of moolah to do so. Microsoft will be partnering with retailers and distributors locally (e.g. Asianic, PCWorx, Electroworld) to offer retail (read: CD) versions of Windows 10 so you can skip the download process for a price. Speaking of the price, prepare at least P5,400 for Windows 10 Home edition and P9,000 for the Pro edition. In other words, as long as your device can run the latest version of Windows 7 or 8.1, it can also run Windows 10. If you're going the free upgrade route, be prepared to spend a few hours waiting for the DL to be completed. Microsoft hasn't specifically revealed Windows 10's total file size, but reports say it's around 5.5 to 6GB. That's a whopper and, given our country's mediocre Internet speeds, that also means leaving your device connected to the Internet for an extended amount of time. For example, if you have a 1Mbps connection, you'll have to wait at least 13 hours. If you're lucky enough to have a faster connection like, say, 5Mbps, waiting time is around three hours. Ouch! Being the latest spawn of Microsoft's operating system line, Windows 10 brings a load of features that will upgrade your overall computing experience. We're talking about stuff like having a paste option in command prompt, better and easier multitasking, and even a virtual assistant named Cortana for your desktop to help you search for information with the power of your vocal chords (much like a Siri for PCs). Oh, the Start Menu is back, and it's looking like the next-gen version of the one we really loved on Windows XP! If you want to learn more about Windows 10's niceties, click here or visit Microsoft's information page for the OS.